Book Your 'Free' 30 Minute Discovery Call & Learn More! Working with us provides individuals and small business owners the opportunity to quickly start or grow a profitable online business that can be run from anywhere in the world. Our start up business model is designed as hands-on and you will benefit vastly from the support of your online personal business coach as you progress through to launch date. 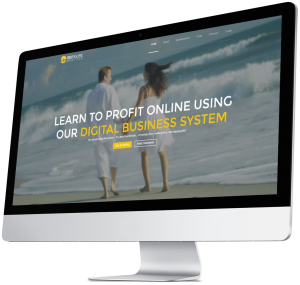 At each step you will complete actions that that take your business, mindset and online presence to the next level – putting you in a position to start profiting as quickly as possible. Our aim is get you up and running with you new online business within 90 days. The four part blueprint is designed to help you unleash your inner entrepreneurial spirit and empower you to create your digital life in the most efficient and practical way possible.